1. Where will the Thunder finish in the West now that Russell Westbrook and Kevin Durant are both sidelined? Corey Kollbocker: They should make the playoffs, but finish no higher than 6th or 7th. They’re going to slide while Westbrook and Durant are out, but if the last two games are any indication, their youthful second unit is better than expected. With extra playing time for utility players during the first two months of the season, the Thunder may actually be improved by the time their stars return. A shallow, unproven bench could become a deep one. I just pity whichever high seed in the West draws OKC first round. Spencer Suk: The Thunder should finish about 5th in the West. Even with their two best players out, the Thunder have held their own to start the season. Serge Ibaka should be able to pick up some of the slack with an increase in usage, and Perry Jones looks like a different person from the player we saw last year; he looks confident, stronger, and capable of carrying some of the scoring load. And don’t forget Reggie Jackson, who looks capable of breaking out this year. With that being said, the West is extremely talented and playoff positions are usually decided by a mere game or two. However, when Durant and Westbrook return (which is only in a month or so), I expect the Thunder to get rolling again and finish the season on a strong note. Jordan Lee: 6th seed, only because the West is so stacked. Nine teams were able to finish above 48 wins last year, with 5 teams winning 54 or more. Golden State (51 wins) and Dallas (49 wins) look ready to take the next step, and Denver (36 wins) and New Orleans (34 wins) look like serious playoff contenders. Simply put, finishing top 5 in the West is going to take a solid season, from start to finish. The Thunder are going to get Reggie Jackson and Jeremy Lamb back soon, but I still can’t see them doing much better than 18-14 through the first 2 months of the season (unless Perry Jones keeps thinking he’s in high school). That’s already 7 games worse than their 25-6 start last season. On top of that, I’m not convinced the Thunder can stay healthy the rest of the season, and I really don’t believe in Scotty Brooks. Let’s just pray the Clippers don’t draw a healthy Thunder in the first round of the playoffs. Robert Reeves: They’re in trouble. The West has nine formidable teams, plus a small handful of outside-looking-inners knocking on that door. At least four weeks without Durant or Westbrook, with Reggie Jackson still on the mend, could do them in before the turn of the calendar year. The good news is they’re facing a whole lot of lackluster teams in November – just 6 of their 15 opponents were above .500 last season. I project the Thunder as part of a group of four or five teams fighting for one of the bottom three playoff spots come March-April. I think they’ll sneak in, causing the top few teams to jockey to avoid facing them in the first round. Sebastian Li: As it has for quite some time, the West looks pretty stacked this year. With the final standings bound to be pretty tight, I think the Thunder will end up about 6th this year. I would say at this point, the top tier of teams in the West is made up of the Spurs, Clippers, and Warriors. My next five playoff teams are the Thunder, Grizzlies, Mavs, Trailblazers, and Rockets. Seeding in the West is bound to be separated by only a few games, but the injuries to Russell and KD won't end the season for the Thunder. The superstars could now be on the court after their respective injuries at around the same time, and shouldn't need much time to shake off the rust. Realistically, it's only a matter of patience if you're looking for the Thunder to make a strong push in the standings. Personally, I'm confident the Thunder will be clicking on all cylinders by the time 2015 rolls around. 2. Too high or just right: Klay Thompson’s 4-year ~$70 million contract? Kollbocker: Just right. With Steph Curry on one of the biggest bargain contracts in the league, it’s about time some money heads the way of basketball’s most electric backcourt. If Golden State valued Thompson enough to keep him over trading for Kevin Love, it’s only right they pay him accordingly. And after he showed up Kobe by dropping 41 the next day, the money seems well deserved. Suk: Just right. The Warriors have just locked up one of the three best shooting guards in the league and look to have the best backcourt in the league for years to come. It’s no secret that Klay Thompson is one of the best shooters in the league… They don’t call him and Steph Curry the Splash Brothers for nothing. But Thompson has made huge strides over the last couple years on the defensive end. He’s also added a more consistent high-post game to his repertoire and looked great for Team USA in the summer. Plus, the NBA’s new TV deal will create a big jump in salary cap just in case you’re worried about the $70 million part. There’s nothing to dislike here. Great signing. Lee: Just right. The Warriors have always been reluctant to trade Klay. They know he’s a hot commodity, and they know a max deal is going to be the only way to keep him. If you disagree, think about this fun fact...GORDON HAYWARD JUST SIGNED A MAX DEAL. Reeves: Just right. It’s not because he’s tearing up the league three games into the season; his numbers will stabilize. The simple truth is that he’s a one-of-a-kind player in today’s league. Not a great playmaker or rebounder, Thompson excels at just about everything else that happens on a basketball court short of belting out the national anthem. A maestro from distance, Thompson can also take defenders off the dribble or into the post, and he plays both sides of the ball. Oh, and he keeps getting better. It’s a foregone conclusion that Thompson will earn his first All-Star berth this season, but don’t be surprised if he makes an All-NBA team as well. His max deal will look like a bargain once the new TV deal kicks in. Li: For keeping the Splash Bros together, just right. I can't imagine the Warriors felt they had too much room to negotiate; it's not out of this world to imagine a different team offering Klay a max contract next year upon his introduction to the free agent market. Both sides are obviously interested in keeping Klay in a Warriors uniform, but I do wish the Warriors had paid him a bit less. He's an absolutely incredible shooter and the contract solidifies the combination of Thompson and Curry as the bread and butter in Golden State for at least the next three years. Steph and Klay make for an unbelievable duo, but if it becomes a formula that the Dub's want to stray away from or want to add another piece, this contract might become problematic. The Warriors are putting together a scary squad in San Francisco, but they're not exactly doing it cheaply. 3. After seeing Kobe Bryant thus far, where would you rank him in terms of best players in the league? Kollbocker: Well, I’ll say this: there is still a little of Kobe’s individual magic left in the tank. However, while he can still shoot impressive fadeaways and take over his team’s scoring for a quarter here and there, he’s no longer a transcendent talent. Watching his game has nostalgic value, but he can’t be the best player on a successful team anymore, and he’s notoriously unwilling to play second banana. That means his true NBA utility is probably around thirtieth in the league, not much higher than ESPN prognosticated. Expect him to put up 25 points per game while taking almost 25 shots. If this Laker team wins thirty games, it’ll be because role players play better than expected, not because Kobe is back. Suk: I feel like a big reason some people are down on Kobe Bryant is because the Lakers have been miserable for the past few years. But for the most part, this isn’t Kobe’s fault. He simply lacks the talent to win enough games to make the playoffs. Maybe he made it a little harder on management by taking a huge contract, but can you really blame an athlete for taking the money he earned? Kobe clearly still has it. However, at the age of 36, names like Durant, James, Davis, Griffin, Paul, Westbrook, Anthony, Curry, Love, and Aldridge all sound more attractive. I have Bryant somewhere between 10 and 15 in my books. Lee: He still looks like Kobe, but it’s impossible to rank him. For instance, even ranking the top 10 point guards is almost unfeasible… With CP3, Westbrook, Steph, Wall, D-Rose, Parker, Kyrie, Rondo, Lillard, Lowry, and Lawson, I really don’t know if anyone will have the same top 10. And that’s just one position. That being said, I can say Kobe is either the first or second best shooting guard in the league, and that has to put him somewhere in the top 20. Reeves: Top ten in the league. That’s the most I can say for now. We expected the pristine footwork. We hoped he would have enough lift to loft his trademark fadeaway over defenders. 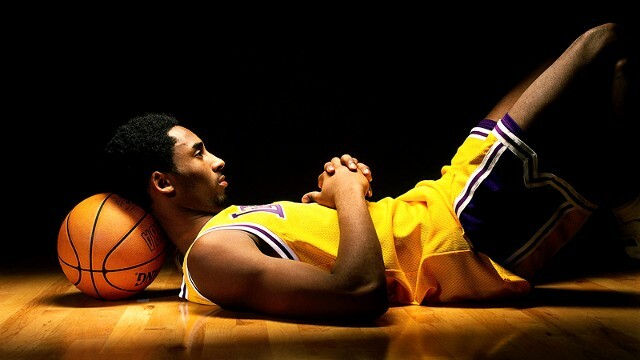 But few anticipated that Kobe would look this spry just four games into the season. Somehow, 36 years old, 18 seasons deep, and coming off two catastrophic injuries, the Mamba still keeps an explosive first step in his back pocket. He’s crashing to the rim without fear. He’s tossing in circus shots. He went off for 19 points in a quarter, mostly on stupid shots. Yep, he’s back. His numbers are a little ugly, but they will stabilize as his teammates learn to play with and around him. Bryant, meanwhile, needs to do his part by facilitating more and demanding the ball less. Li: I don't exactly like Kobe, but you have to respect his game. He comes in somewhere in the top 10. There's a couple of players that have certainly become more menacing to their opposition like LeBron, Durant, and CP3. Old and cranky as he may be, he's the Black Mamba for a reason. As long as he's healthy, I'll certainly expect to see some instances of vintage Kobe dominating games, sprinkled in with some games where he ceaselessly pulls the trigger to the tune of both dramatic wins and dramatic losses, but there will also be a good amount of games that are lost simply because of the supporting cast. As a sidenote, I also think ESPN ranked the Lakers last during the pre-season in order to make sure they have a story to write in the middle of the season, as the Lakers have always had a chance to ride Kobe Bryant to a respectable season. 4. Fact or fiction: the 2014 NBA draft class is overhyped? Kollbocker: Fact. I think a lot of really good NBA players will come out of this class, but too much has been expected too soon. Two of the most interesting rookie big men won’t play until next season (Embiid and Randle). And as always, there’s a lot of raw talent that will need time to shape. However, most of the problem comes from the media’s perennial love of watching young, new players. Our desire to see new faces overtakes reasonable expectations, and rookie classes are thus always both overhyped and over-scrutinized. Suk: Fact. It’s not that I don’t think there is a lot of talent in this draft class because there is. It’s just that I don’t see any of these rookies as generational talents. Parker and Wiggins should both be great players in this league, but they both seem to have their flaws. Parker has a lot of growing pains on the defensive end while Wiggins still looks very raw on offense. Embiid is still a question mark due to injury, though he might have the highest ceiling of them all. I also love players like Elfrid Payton, Doug McDermott, and Nik Stauskas. But once again, none of these guys really has superstar potential. We’ve barely seen the start to the careers of this year’s rookies, and they could make me sound like a fool in just a couple of years, but I have my doubts. Lee: Fiction. I think a lot of these guys were overhyped coming out of high-school, but again, who was Joel Embiid last September? I think Wiggins and Embiid are going to be studs. Wiggins already looks like a monster on defense, and it’s clear how explosive he can be on offense once his shot gets more consistent. And Embiid can flat out be one of the best centers in the league barring any injuries. I don’t have as much faith in Jabari, but at the least he’s going to be a very good offensive player in the future. I think the reason why everyone’s saying this class is overhyped is because neither of these three players has been an immediate home run. But look at the rest of the top ten: Gordon, Exum, Smart, Randle, Stauskas, Vonleh, and Payton. Call me crazy, but I see at least three of them becoming All-Stars at one point. And the rest of the first round is still filled with talent. How good is Dario Saric going to be? Doug McDermott went 11th, Adreian Payne 15th, James Young 17th, Rodney Hood 23rd, Shabazz Napier 24th, and P.J. Hairston 26. I can see all these players having solid NBA careers. Reeves: Fact, but based on college play, not the first week of the NBA season. There isn’t much a few games can tell us about guys like Wiggins and Parker, who need time to adjust to the level of play and the speed of the NBA game. But we were told by pundits that this class will be historically great. I don’t see it. The top guys should pan out as solid players or even All-Stars, but the standard for greatness is ’84, ‘96, and ’03, drafts chock full of Hall of Famers. I don’t see that kind of potential from this class. Li: This is clearly a case of Faction. It's tough to say only a week into the season, but so far this year's rookie class being overhyped is definitely closer to fact than fiction. Considering the mystique that surrounded this year's rookie class before and during the draft, I kind of expected to have been stunned by a rookie with some serious oomph and wow and superstar potential. So far, neither Wiggins nor Jabari have really put on a dominant display of basketball. This is something, however, that simply requires some time. A lot of these rookies are raw or coming into tough situations, but they're all entering a league of basketball with a level of skill unlike any they've ever encountered. To be perfectly honest, the rookie performance that has stuck out to me the most is probably the beginning of Doug McDermott's career against the Knicks, in which he posted a +/- of +16 in 24 minutes. Could he be the answer to the Bull's offensive woes? I don’t know, but I definitely hope they let him try. 5. Which team will be better by the end of the year: the Cleveland Cavaliers or the Chicago Bulls? Kollbocker: The Bulls. Offensively the Bulls have more options, though the Cavs have better ones. Defensively the Bulls are unquestionably superior. But the real crux of the issue is experience in big games. With so many of the Cavs unfamiliar with the grind and intensity of playoff basketball, and with their coach brand new to the NBA, the Bulls will hold a distinct advantage come May. On the other hand: LeBron. Let’s just hope injuries don’t make this new rivalry any less exciting. Suk: The Cavs. This was a really tough one. Even though they lost the first matchup between these two teams, the Chicago Bulls looked more cohesive on both ends. Rose looks right back at home in Coach Thibodeau’s system, and Pau looks like a big upgrade from Boozer. Cavs lack a true rim protector), I believe Coach Blatt will be able to figure out a system that is good enough for this team. Oh, and they have the league’s best player. Lee: The Cavs. My eyes say the Bulls, but my heart says the Cavs. After watching that Nike commercial, I’m going with my heart. From observing both teams’ first few games, the Bulls will have a better regular season record, but I’m not so sure they’ll be the better team come playoff time. The Cavs are going to have to figure out a lot on the defensive end, but I believe their offense can pick up that slack. A lot of defense is effort, so hopefully Kyrie and Waiters are wiling to buy in. The Cavs should try to play up-tempo and utilize K-Love’s outlet pass as much as possible. LeBron and Kyrie running fast-breaks with K-Love trailing as a third option sounds like a lot of fun to watch, and really hard to defend. Reeves: Cavs, sadly. Rose is already ailing. The Bulls only have a shot if Rose reverts to MVP form, which I have no faith in whatsoever. On the Cleveland side of things, Love is the perfect pair for LeBron. Already comfortable gravitating to the three-point line, he won’t face the same growing pains Bosh did adapting to life with the best player in the world. Irving will be underutilized, like Wade before him, but is already a capable outside shooter as well. In terms of fit and depth (Waiters, Varejao, Thompson, Miller, Marion, et al.) the Cavs have already surpassed the Big Three-Era Heat. The Bulls will have to hope that early and decidedly mild grumblings from Love point to serious chemistry issues down the line. Not likely. Li: For me, a really important aspect of this question is Derrick Rose's health in the final months of the season. I'm a big believer in momentum, and having players gel with each other can sometimes take time. The Cavs will be a steadily improving team, while injuries are the main problem in Chicago. After tweaking his ankle so early in the season, D-Rose is going to have to prove he can stay healthy this season if the Bulls are going to be competitive. Watching him play is a sublime experience, and it's partially because the Bulls' offense becomes heavily dependent on him when he's on the floor. But the offense struggles too often, despite a consistent lockdown D. That being said, I've got to go with Cleveland as the better team at the end of the year. The number of offensive options is mind-numbing, and I wouldn't be surprised if LeBron managed to push the Cavs to another level on the defensive side of the ball either.